IPVanish and BolehVPN are two highly popular VPN solutions. Both these VPN companies offer excellent services, which makes it difficult to decide which is better. However, if you examine how they do in some important areas and compare them, you will realize it is not such a touch choice after all. 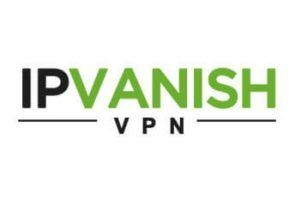 IPVanish is a trusted, ever-growing VPN provider that offers excellent security features, great speeds, and high device compatibility. It is ideal for those who want to bypass geo-restrictions and surf the web safely and anonymously. Boleh VPN is a Malaysia-based VPN provider with servers in 13 countries around the world. It offers great speed, a high level of security, and absolute anonymity. It supports P2P, keeps no logs, and offers unlimited bandwidth. I've used IPVanish over a year & lately it seems it's disconnected more than connected. And there's no way to know unless u continually enter IPV. I'm leaving them. How hard could it be to include something to see if we're connected. Yes, I'm auto-connected, but that rarely works either anymore, it seems. Thxs for the reviews that helped me decide where to go. They're the best! Not the fastest there is, but rather solid performance. This used to be the best vpn of all times, but the latest update just killed it. It’s so difficult to connect that I’m starting to think that it’s a pure God’s miracle every time I succeed. Great service so far. I had no trouble whatsoever. It works fast, opens anything I want and every time I want to ask anything support is online and answers fast. The customer service is awesome and very helpful. I recommend to use BolehVPN because they have great privacy securities and affordable price! It’s nothing special, to be honest. It works, true, and it’s pretty fast, but there aren’t as many servers as I’d like to have at my service and getting a free trial is quite a pain in the neck. IPVanish has servers in 60+ countries. Combine that with unlimited server switching and other great features and what you get is an excellent VPN that will keep your connections safe and anonymous.